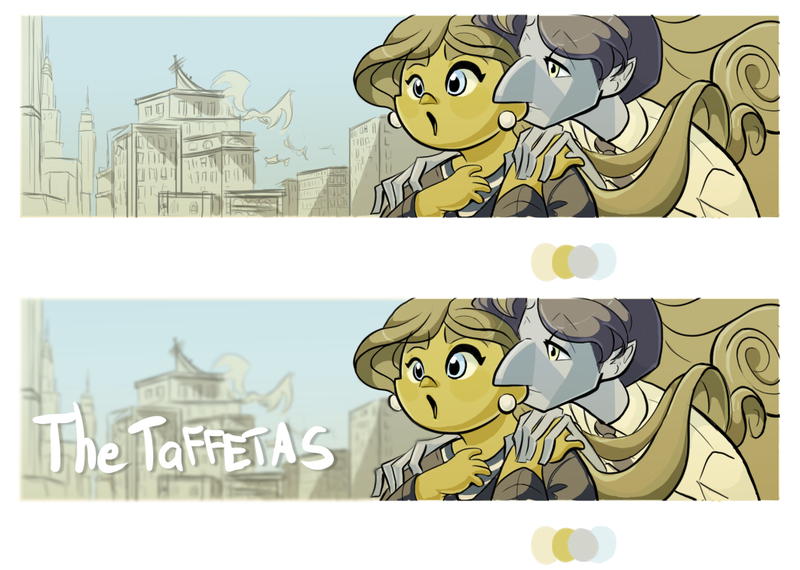 As we had mentioned last post, we are updating some things for the concept and pitch package of Taffetas. This includes new art and some updates to our online presence. 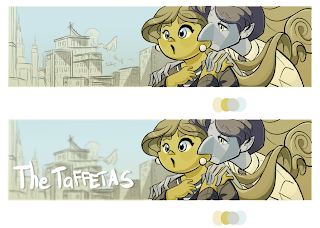 As such, we are excited to show off the first bit of many new things to come- our new banner! We felt the update was needed to represent how our story has grown and how we have grown as artists. Pictured above is the original drawing created by Tracy MacLauchlan, which is then reworked in Adobe Illustrator by Yesenia Carrero in our line less, Art Deco-inspired style. This is a look into the production process for all official Taffetas art outside of volunteer-created storyboards.